New slating on the main ruin roof. The underfloor heating pipes are distributed from this manifold. The heating pipes are clipped down to rigid insulation and then a concrete screed is laid over. 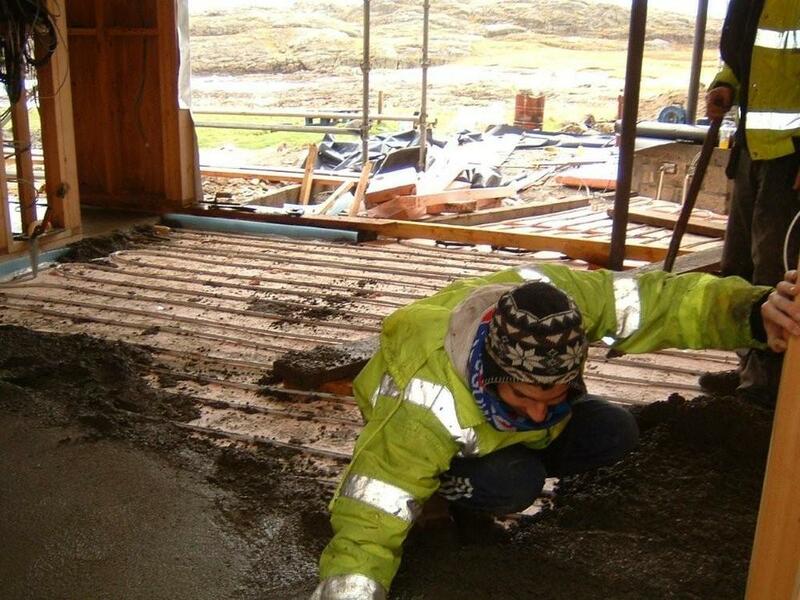 Shown, is the screed going down in the future snug. An illustration of how wet it can be. In this case 26mm of rain in one morning. perfect weather for ducks, but not masons. Work on the big west wall starts. It has a structural blockwork spine and will be faced in a semi-dry stone facing using the stone taken from the original ruin. It will tie the new wing down into the landscape and shelter it from the worst of the weather. There will be a two storey window with a window seat at the top of the stairs. This is the only big window in the otherwise castle-like west wall. The roof steps up here to allow a clear view out over the fields and shore. The stonework to the west wall starting. 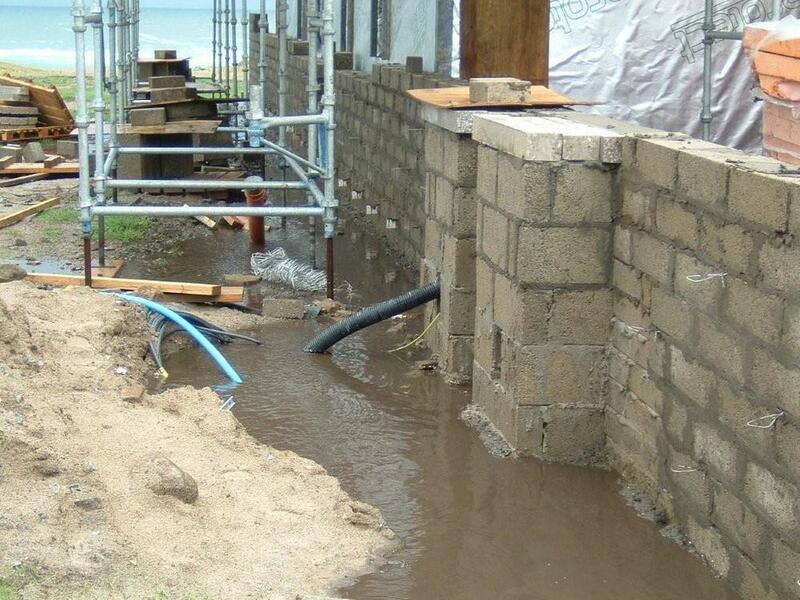 All the blockwork will be concealed.